Two more ways to make the holidays Twinkle. 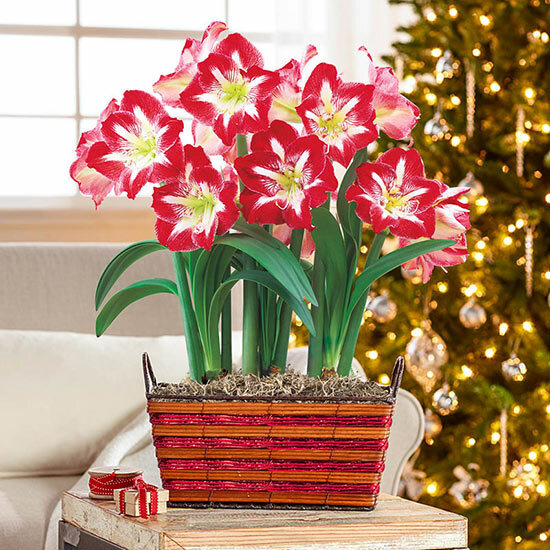 Twinkle Amaryllis is well known for its large, red flowers highlighted by snow-white stars, which is why it's featured in several of our Amaryllis Lovers™ gifts each year. This time, Twinkle takes shape in coordinating containers accented with luminous red stripes and convenient carrying handles. 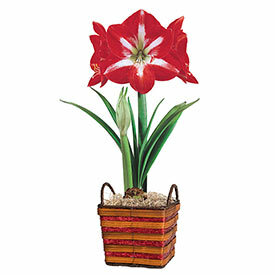 (Choose a single- or triple-bulb planting.) Recipients can repurpose the sturdy baskets next year to hold Christmas cards or a dozen dinner rolls. EXCLUSIVE.